I did this project with miss 2.7 so the paint work is a bit messy. But it was loads of fun and so easy. Fold the sides and the top of the plate inwards and glue them. When glue has dried paint the sides and the top with black paint. Cut out a beak and feet out of the coloured paper, when paint has dried glue beak and feet on and glue on eyes. Notes... I cut the feet and beak out for my toddler. We are doing a penguin theme for our daughter’s first birthday so will make these with my toddler. Might paint the whole back black before folding. A very cute penquin,love it! A fun holiday project. Thank you. This is so cute and so clever. Gorgeous idea – would make some fabulous kids party decorations! Who would have thought you would get something so creative from a disposable plate. Love it! Well done this is awesome. Soooo cute. Very cute, will have to try this one with my kids. 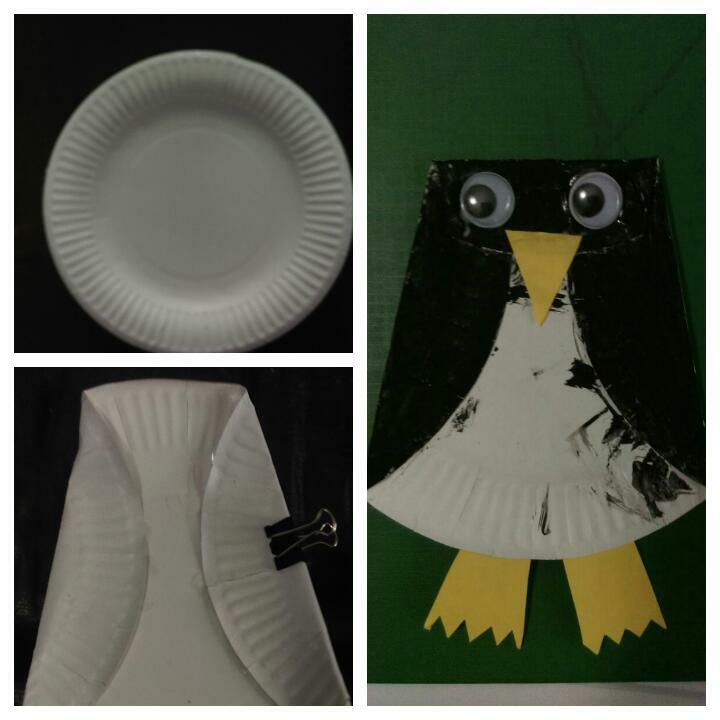 cheers for posting the “cool” penguin craft idea. it is a fun one to do with the kids. Thanks for sharing this creative idea; it looks like so much fun!. My daughter made one of those at our library story time that we go to. They are so cute!! !